Reduce the I/O overhead of running tests in Django. A strategy for blocking dictionary attacks and restricting access to a white list of IP addresses. 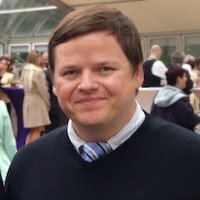 A review of Django auth's password storage format and password storage upgrading capabilities. A strategy for crushing, caching and deploying front-end-optimised Django sites. Setup a load-balanced, two-node Django cluster with a minimal Ansible footprint. Run Django tests concurrently with pytest-xdist. How to capture, monitor and analyse exceptions raised from a Django project. How to upload files to Amazon S3 from a form in Django as well as (very important) how to test the upload process. django-jsonview offers a method decorator which will cause all responses (including exceptions) to return in API-friend, JSON format.